Description: Celebrate the spirit of Frostval anytime! 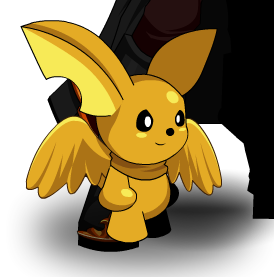 This little golden moglin will bring you comfort and joy year round. Golden Moglin on your back. Thanks to Mecha Mariom, Na Tra and Rellik5056.